The International Fund for Agricultural Development (IFAD), in collaboration with the Farmers’ Federations from Asia and the Pacific will launch the second phase of a regional Medium Term Cooperation Programme with US$14 million grant to support farmers’ organizations from Asia and the Pacific. 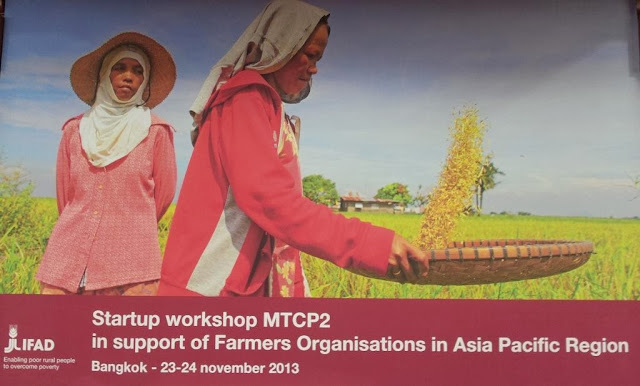 The workshop will take place in Bangkok, Thailand on 23-24 November and will be attended by Asian Farmers’ Organizations representing 20 million small-scale farming families from 25 countries in Southeast and South Asia and the Pacific. Worldwide, farmers’ organizations are increasingly playing an active role in reducing rural poverty, improving food security, and ensuring development opportunities for smallholder farmers. They are also front line advocates for family farming, and representing the interest of the producers and making their views and expectations known for decision making purposes. 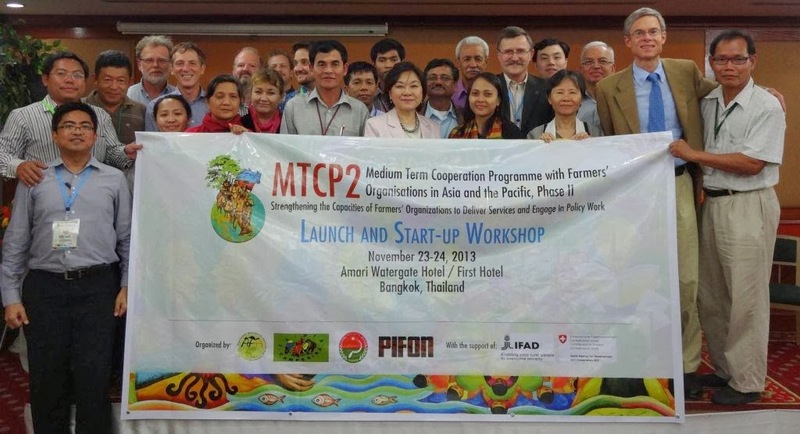 In 2009, the first phase of Medium Term Cooperation Programme with Farmer Organizations in Asia and the Pacific focused on building and strengthening the capacities of farmers’ organizations in the region to engage in policy-making and programme implementation processes of governments and IFAD country operations to better respond to organization member needs. “The most successful element of the first phase of the programme was the creation of national platforms, which enabled farmers’ organizations to define their common priorities and to speak out as one voice to governments and decision makers,” said Benoît Thierry, IFAD Country Program manager. “Because of this, they improved their communication and policy dialogue skills on sensitive issues and are now recognized as official representatives of the farmers,” he added. Based on the success of the first phase, IFAD will leverage as the total amount of the grant during the period 2013 - 2017 to finance the second phase of the programme, which will provide specific support to the vulnerable poor, particularly women and youth, who represent at least 45 per cent of the participating farmers’ organizations membership. IFAD will provide $2 million from its own resources and Swiss Agency for Development and Cooperation will provide $3 million as cofinancing. The second phase of the programme will be implemented by the Asian Farmers’ Associations for Sustainable Rural Development (AFA), a technical regional implementation agency working in partnership with La Via Campesina (LVC) in 15 countries initially. The programme will be extended later to reach up to 25 countries in three main sub-regions South Asia, south East Asia and China, Pacific.